Madcap England 'Lazy Daisy Psychedelic' Retro Mod dress. A pattern that incorporates a swirling sea of Psychedelic paisley print swimming in a stunning purple. The big pattern repeat is complimented by the gorgeous keyhole daisy collar detail. A beautiful piece for Summer, packed with eye catching paisley designs. 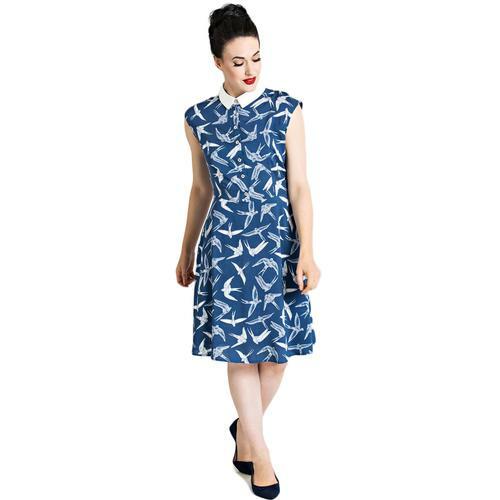 Madcap England 'Lazy Daisy Paisley' Retro Mod dress in purple. Flawless dress that features bold purple, green, orange and white, paisley motifs. The elegant and demure rounded collar is accentuated by a fabulous keyhole daisy collar detail. Sleeveless dress with fab Vintage look A-line skirt. 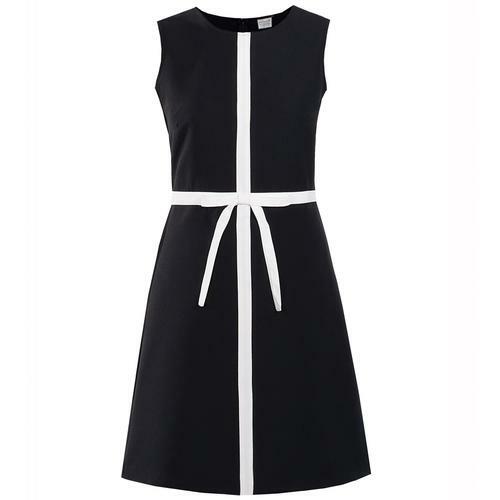 A striking dress for both daytime and evening wear. Fitted pleats to enhance the silhouette. A hint of stretch for comfort. Lightweight and unlined dress. 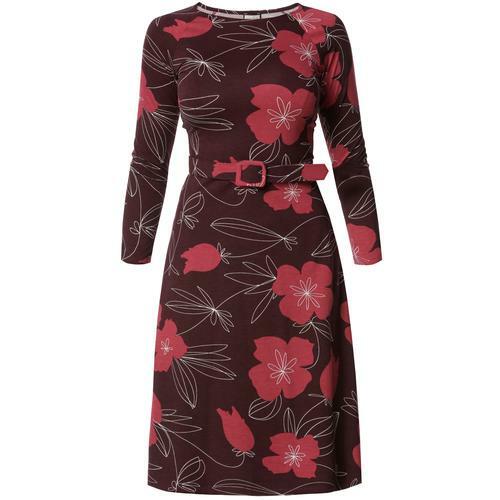 The 'Lazy Daisy Paisley' dress would look gorgeous paired with tights and cute Vintage heels! 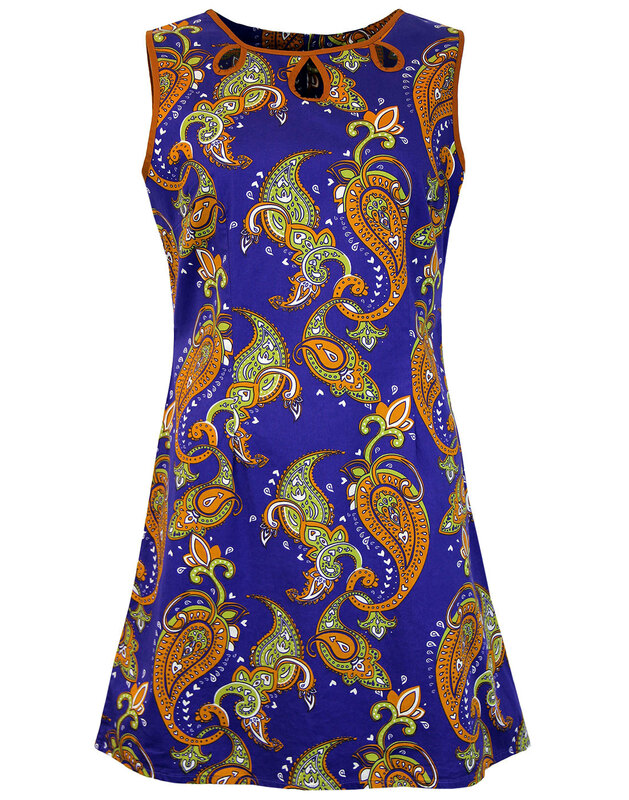 Key Points: Madcap England 'Lazy Daisy Paisley' Retro Mod paisley dress in purple. 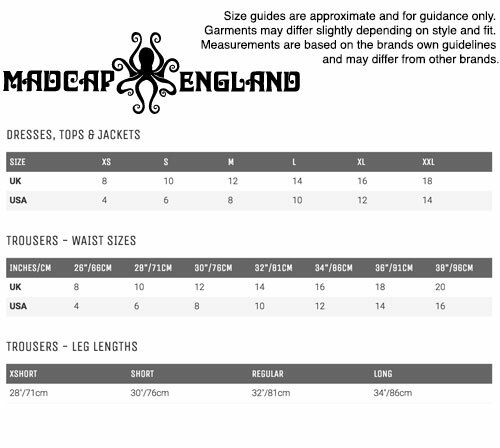 Composition: 97% Cotton and 3% Lyrca.